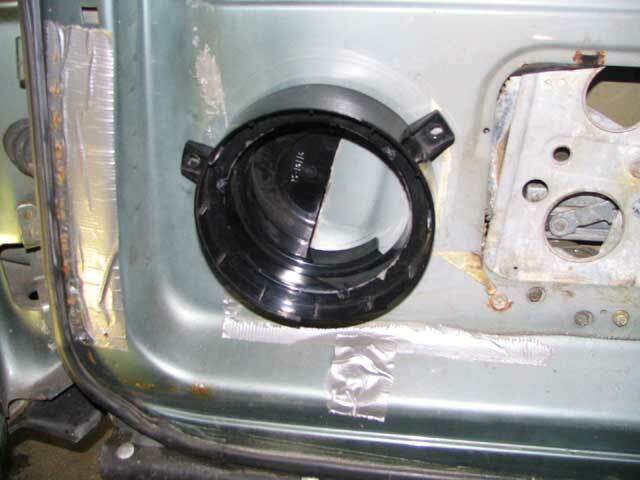 To make a hole in the door for the speaker, we need to remove the door panel. This is very straight forward! Remove the window handle. The window handle is screwed on and you must pry the cover off to get to the screw. Skip this step if you have electric windows. 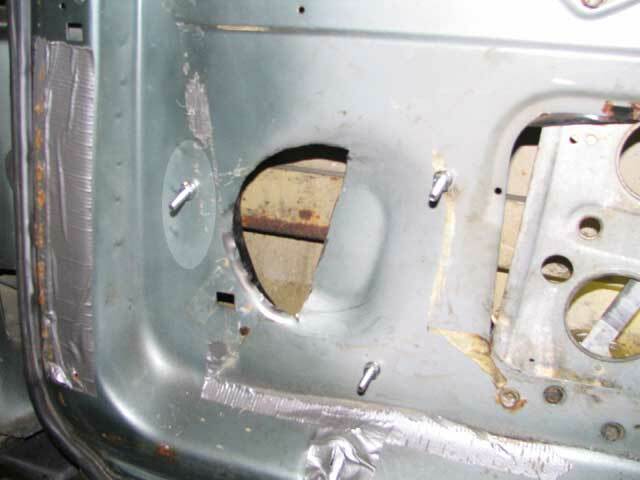 Remove the door latch cover. There is one screw to remove and then just pull on the handle. Pull off the fabric insert. Grab it from the bottom and pull down. Unscrew the screws holding the panel to the door. The door panel should fall off once you have all of the screws out. Marking the correct location for the speaker is key. You need to place the mount on the door and mark the location to cut. 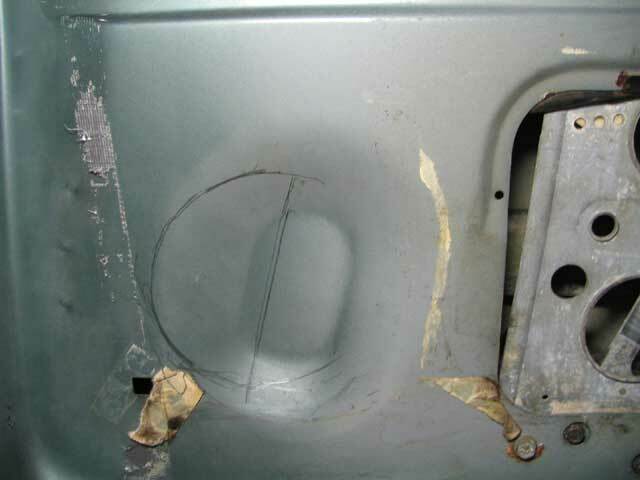 Luckily, SAAB made this somewhat easy as the door has an identation in it to help us. You do not want to be too close to the edge because the there is a steel brace that will block access to the mounting screw. 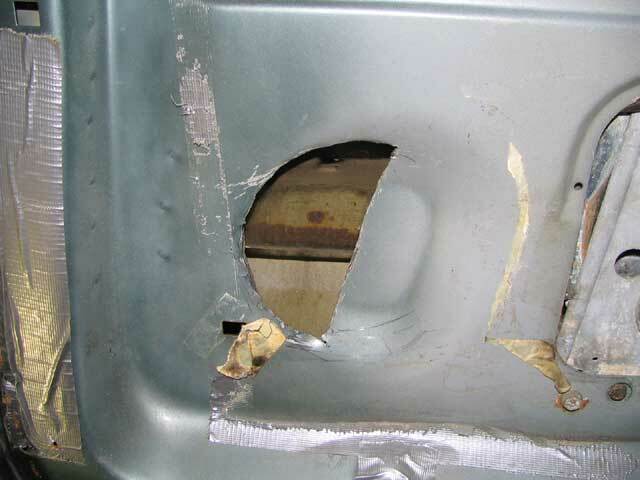 Make sure your screw mount is not near the weld marks. Now that you have a starting location, you want to go ahead and cut out that piece of metal using a dremel. Drill out the holes for the mouting screws and place the hex bolts in the holes. The hardest one is the one furthest toward the end. If you have big arms and hands, you may want to consider pulling out the window regulator. Now place the speaker mount on the screws, mark and cut out the other half of the hole. 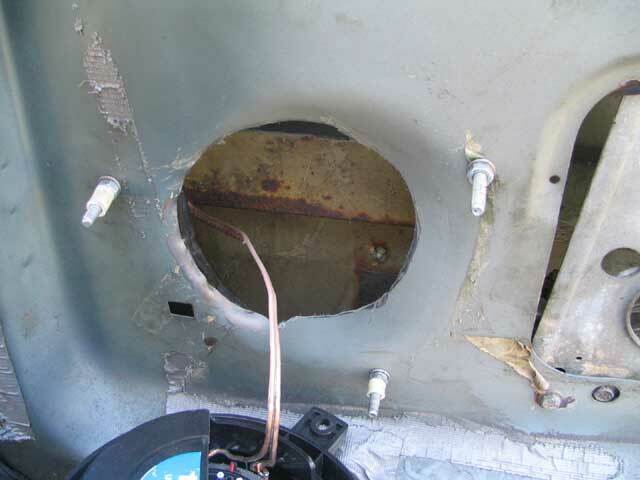 You need to create a baffle for the speaker and this hole will open up the door as a baffle. The speaker mount will not sit flat on all 3 screws. You need to use a spacer to take up some space. I found some plastic tubing in the plumbing section of home depot and just cut about 1/4" to place over the mounting screw. 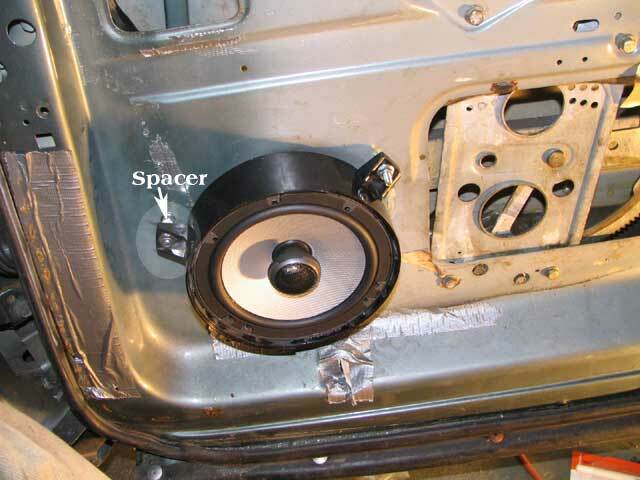 In some cases, the aftermarket 6.5" speaker does not fit fully in the 9-5 speaker mount. SAAB has put in some ribs in the mount to keep the speaker secure. Using a dremel, I had to sand these ribs down so my speaker would fit. Now we can run the speaker wire!